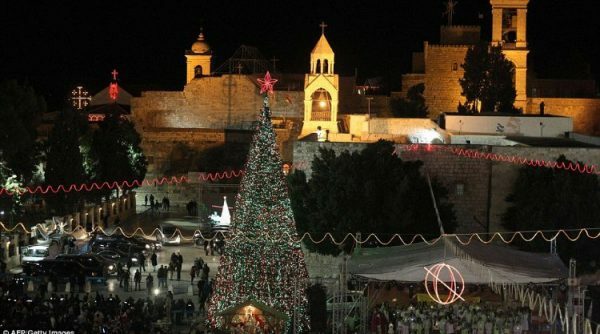 Bethlehem is the little village in which Jesus was born. It was here, that the unseen God emptied himself to become human in the form of Jesus, so that humans could hear and know God best through the idiom of the human, and rise to a fully integrated life. The festival that commemorates this historical self-giving act of God taking flesh, known as the incarnation; is Christmas. Jesus’ life elaborates on God’s act of selfless love and the crux of His teaching calls us to live the incarnation. Living the incarnation in turn requires that we rise above self-interest to serve and include the other, especially the vulnerable, as Jesus did. But this is half the task. We are to also carefully discern and contest oppressive greed that excludes the other, especially the vulnerable, as Jesus did. Ever since the birth of Jesus little Bethlehem, has been endowed with a particularly daunting responsibility. She has had to preserve the narrative of the incarnation and announce its value for life. History teaches that over the centuries, through strife and stability, she has honoured this dual call of guardian and prophetess. Today Bethlehem watches as vast expanses of Palestinian territory are subject to oppressive greed; the very opposite of the message she gave birth to. These harsh changes cannot however undermine her God given vocation. In fact these realities, take her to the vulnerable heart of the incarnation to which she is to bear witness. Just as the fullest stature of Jesus the Incarnate One became known as He experienced intrigue and violent opposition, so Bethlehem the village that announces His birth stands tall through these contemporary acts of abuse and violence, to renounce greed and kindle hope. Neither powers nor principalities can obstruct her vocation. It is from this stance that Bethlehem draws attention, this Christmas, to the US recognition of Jerusalem as the capital of Israel. She reminds us that this is but one scene in the larger tragic drama of illegal occupation of Palestinian territory. As the cradle that held the prince of peace, Bethlehem affirms that this arbitrary expansionism is wrong and must stop; and Israel must revert to the internationally agreed lines of territorial demarcation. Neither dividing walls nor armed settlers can stifle this. As part of a land under Roman occupation then, that nevertheless anticipated the liberation of the world, Bethlehem does not stop here. She sees beyond to assure us that this impulsive pronouncement motivated by a Judeo-Christian- Zionist push from within, and the external Israeli pull to seize a land meant for two peoples under two equal states, will in the long run prove counter-productive. The historic Palestinian claims over Jerusalem as well as the confirmed position of the International community that Jerusalem is to remain a shared space among three world religions, will rise again with fresh energy to isolate US haste and gain global endorsement. Neither pronouncements nor coalitions will prevent this. Bethlehem the guardian prophetess brings us a clear choice this Christmas. We can remain passive perpetrators of oppressive greed that excludes people from their legitimate rights and homelands, or raise our voices and pick up our pens to expose and resist such anti-incarnation policies that continue to humiliate the vulnerable peoples of our world; be it the Palestinians, the Rohingyas of Myanmar or the Tamils of our own beloved Sri Lanka. It is in the second of these options that the vibrancy of Bethlehem will convert Christmas into a peoples’ festival of discernment, resistance and transformation. And it is only then that the true Jesus community will incarnate in our own soil and rise to manifest one flesh with all living beings. With Peace and Blessings to all !